Click and watch some of our Sponsor and Partner Commercials posted to help inform the GundogsOnline visiter about new and exciting hunting and hunting dog oriented products. Helpful tips that may increase your chances to win a hunt with Hunter Grounds. Increase Your Chances To Win A Hunt With Hunter -- Helpful tips that may increase your chances to win a hunt with Hunter Grounds. 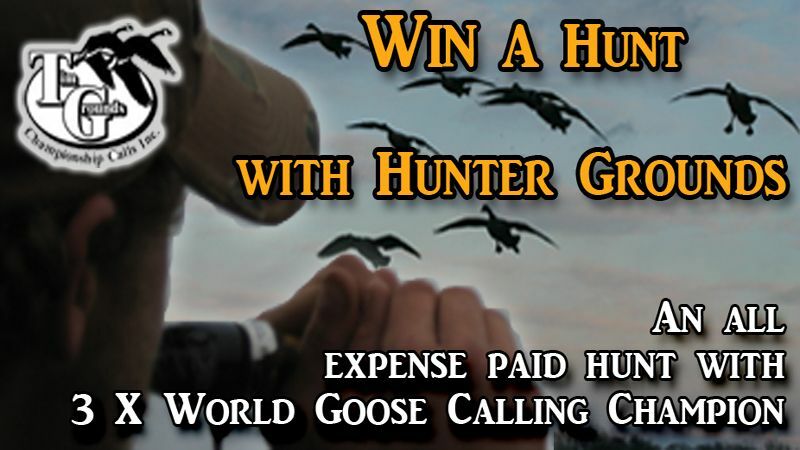 WIN A HUNT WITH HUNTER GROUNDS -- Win an "ALL EXPENSES PAID HUNT" with 3 X World Goose Calling Champion, Hunter Grounds. Follow the instructions in this video, and you may be hunting with Hunter this January in Illinois. Good Luck!! The Incredible CrossFire Extreme Sling -- See how versatile and easy to use the new CrossFire sling truly is. Watch how it can make your hunt not only more successful, but more enjoyable and safer as well. Why Choose Benchmaster Shooting Rests and Tables? -- Benchmaster™ shooting rests and table offer the ultimate in accuracy while virtually eliminating recoil. All Benchmaster™ products feature the unique rubber half ball footprint for greater stability, making your sight-in process truly enjoyable.